Never again put rooms down because of wet beds. 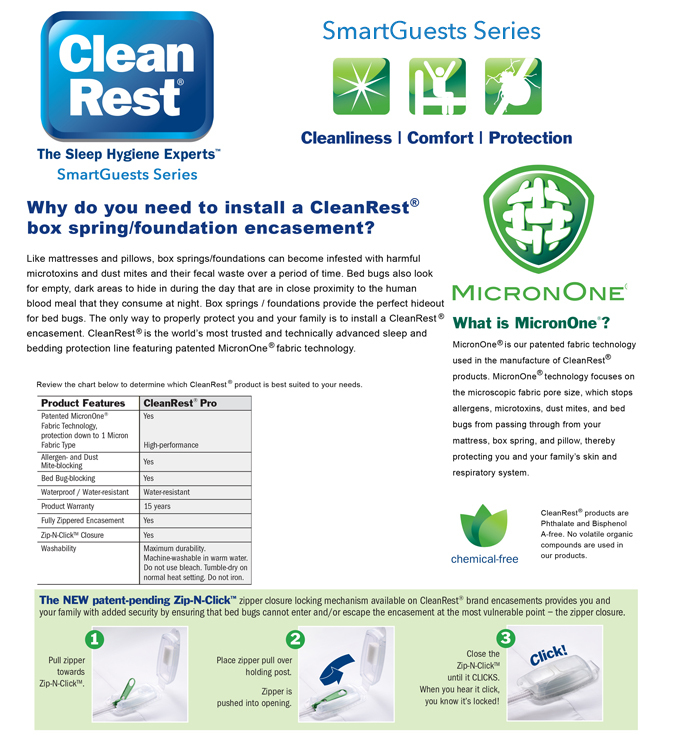 This is the first and last bed encasement you'll ever buy. 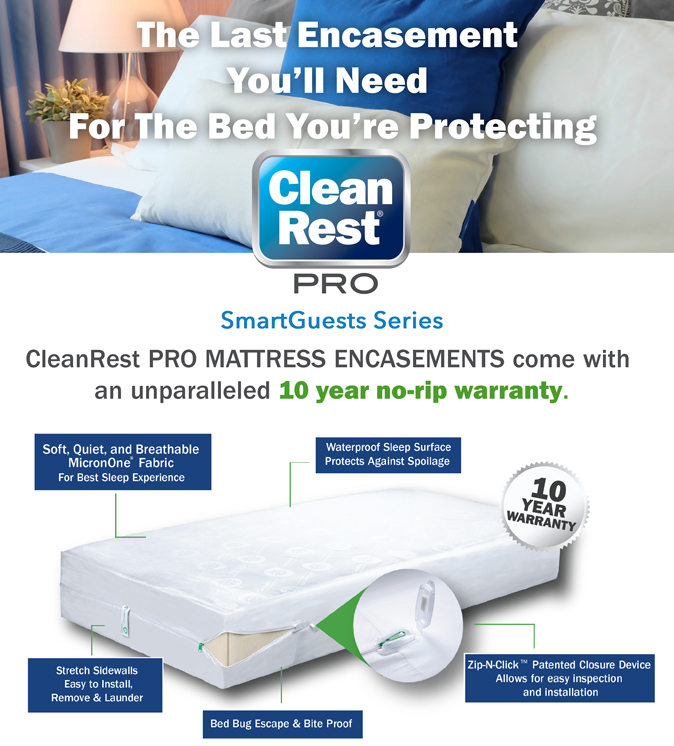 SmartGuests Series by CleanRest Pro mattress encasements offer professional grade protection from stains, spills and other accidents that can permanently damage a clean fresh sleep surface. 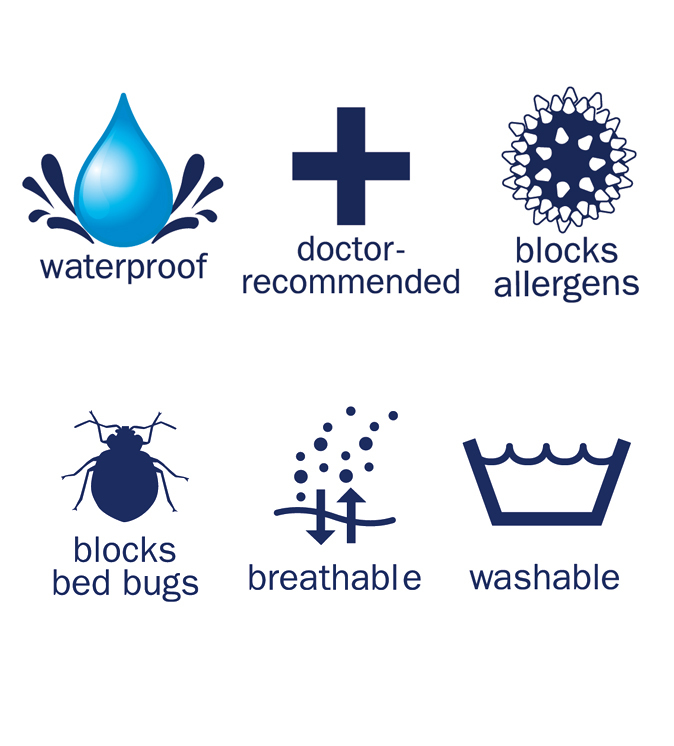 Thanks to our patented MicroPlush top fabric surface with MicronOne technology, you get all the benefits of waterproof protection without the hot, sticky, sweaty, noisy feel associated with other waterproof fabrics. 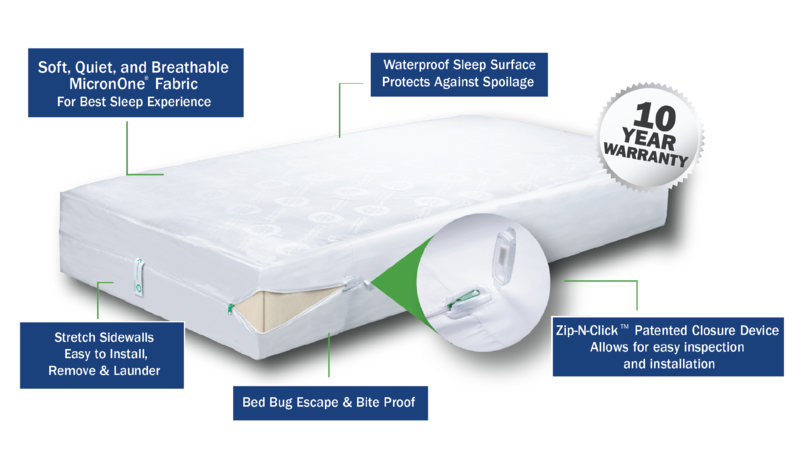 Do not buy cheap immitation covers, that waste your money and don't protect. 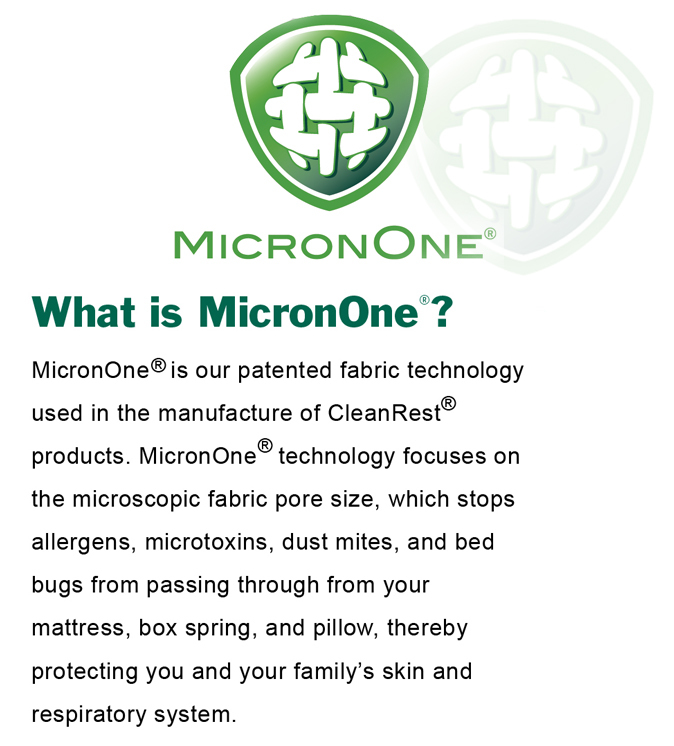 Our MicronOne technology allows the fabrics to breathe naturally like your very own skin! 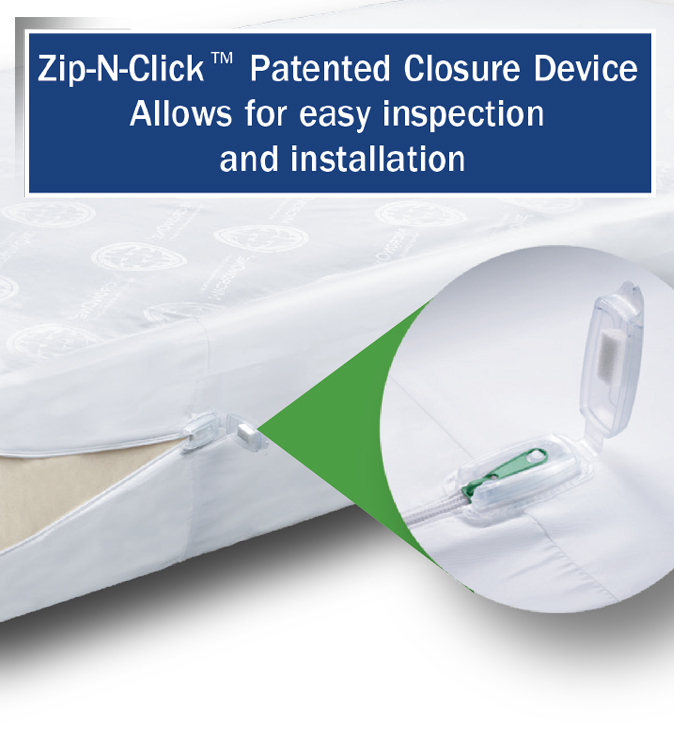 Your guests can also sleep soundly knowing that our Zip-N-Click closure system will lock out bed bugs and prevent any issues related to long term infestation. 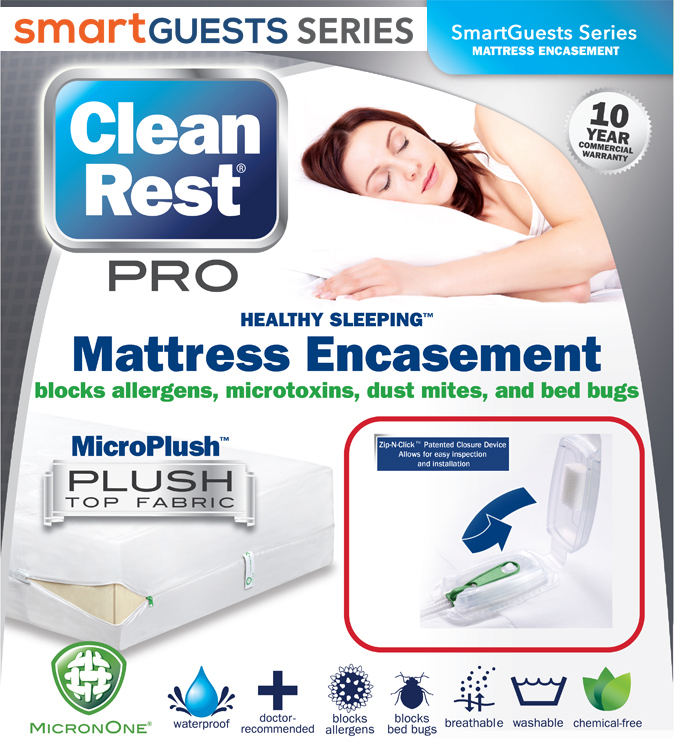 Allergy blocking, stain fighting, bed bug stopping are three great reasons to Protect Your Sleep with SmartGuests Series by CleanRest Pro products today. Side wall's stretch from 12" to 21" making installation and fit trouble free. 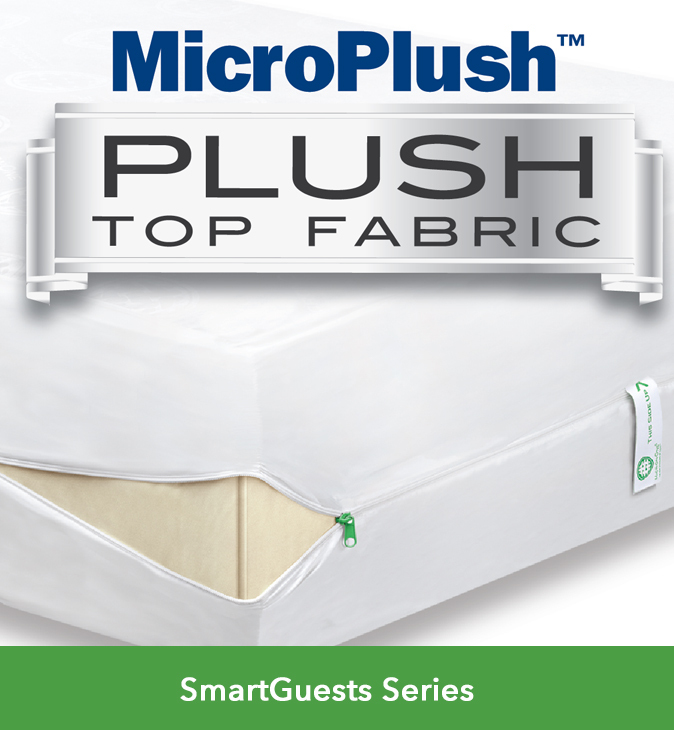 Full Mattress - 54" x 75" x stretches from 9" to 21"
Full Box Spring - 54" x 75" x 9"
Full XL Mattress - 54" x 80" x stretches from 9" to 21"
Full XL Box Spring - 54" x 80" x 9"
Queen Mattress - 60" x 80" x stretches from 12" to 21"
Queen Box Spring - 60" x 80" x 9"
King Mattress - 78" x 80" x stretches from 9" to 21"